The new Hyundai i30 has made its international debut at the Paris Motor Show 2016, with new engines and improved handling. The Ford Focus rival will reach showrooms in early 2017, with process starting in the region of £13,500. 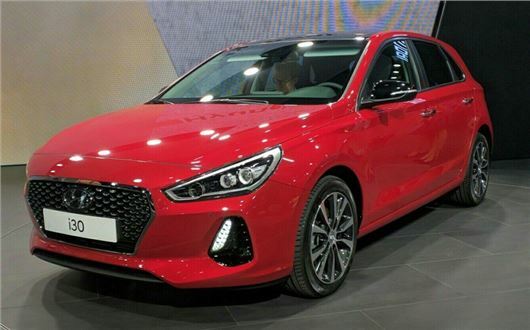 Hyundai claims to have made huge strides in sharpening the handling and dynamics of the i30, with more direct steering and a stiffer chassis, which has been developed on European roads. The multi-link rear suspension has also been reengineered to improve ride comfort and all versions will get larger 288mm brake discs at the front. The turbocharged petrol line-up starts with the three-cylinder 1.0-litre unit, while a four-cylinder 1.4 T-GDI will also be available - outputs will be a respective 120PS and 140PS. The diesel range features the familiar 1.6-litre turbodiesel and outputs will start with the entry-level 95PS and rise to 110PS and 133PS. Hyundai hasn't released any details on CO2 emissions or fuel economy, but it's understood that the majority of the powertrains will be offered with a six-speed manual transmission as standard, while a seven-speed dual clutch auto will be available as a paid for option. 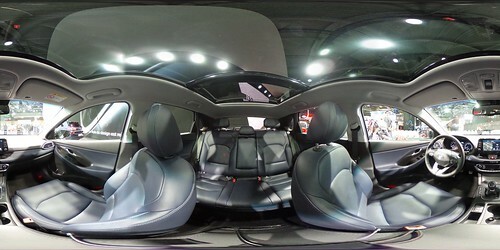 Safety kit has also been upgraded, with autonomous emergency braking and the new driver attention alert system that will monitor the vehicle's handling and warn the driver if it detects fatigue. In-car smartphone connectivity is improved too, with Apple CarPlay, Android Auto and wireless charging. The i30 will also be offered with a range of live services, capable of steaming weather reports, traffic updates and social media to the cabin. As with all cars in the Hyundai range, the new i30 will be backed by a five-year unlimited mileage warranty. Five year roadside assistance and five year annual vehicle health checks will also be included, when the new i30 reaches the UK in early 2017.